Its been a busy month for the Forward Food team who delivered 5 workshops across the country, working with Harper Adams University, Cambridge University, Winchester University and The London School of Economics. All the teams were keen to rise to the challenge of delivering a wider range of plant based dishes to keep up with increasing demand from their students on campus. All the chefs made us feel very welcome, experimented with new ingredients and produced a delicious range of plant based dishes. 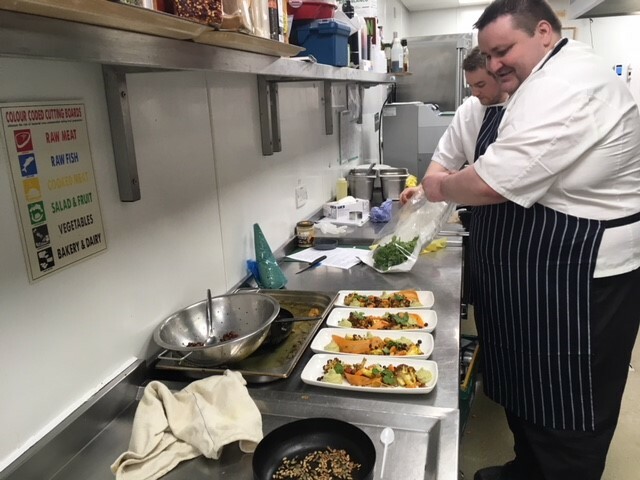 Both Winchester University and Harper Adams University are working with us to quantify the carbon footprint of their menu, through greenhouse gas assessments, and to monitor the impact of subsequent menu changes following the workshop.